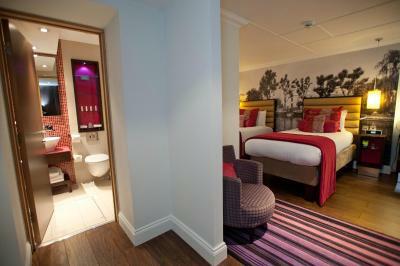 Lock in a great price for Hotel Indigo London-Paddington - rated 8.6 by recent guests. The bed was comfy and the room was very quiet and good in size. I also liked having an Nespresso machine in the room. The staff were very accommodating and the hotel is very clean and relaxing. It is a wonderful hotel, I rate it highly, it was rated very highly and all aspects of it lived up to my expectations. I booked 2 rooms, 1 for me and my husband and a twin room for my Mother and Brother visiting from the States. We were all very happy and impressed with the hotel, the staff, it's cleanliness and the breakfast. Would definitely stay there again and recommend it. The Paddington Location was perfect for our needs as we took the Heathrow Express to pick up my Mother / Brother - very handy location. Lovely decor in the room and very comfortable bed, shower was excellent. Receptionist was very helpful! It was a very clean, comfortable hotel with lots of amenities normally only found in more expensive hotels. The staff were friendly and knowledge and made sure your stay was a great experience. I would stay there again and I would highly recommend it. Very nice and clean hotell. The staff was very fridenly and helful. We got the basement room and it’s pretty spacious! Room’s neat and clean. Staff super friendly too! 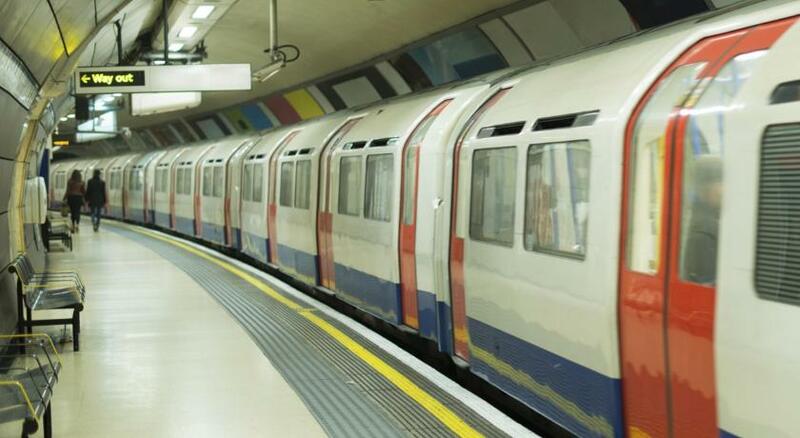 Very near Tube stations and Paddington station. Enthusiastic and friendly staff. Good size room. Free basic mini bar. The breakfast is excellent and there is a good range of small restaurants nearly. 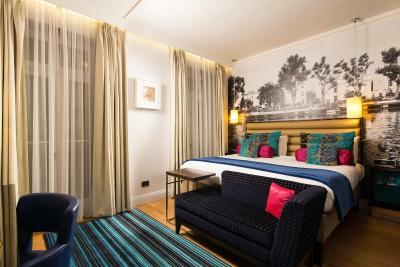 The 4-star Hotel Indigo London-Paddington offers indulgent afternoon teas and boutique bedrooms with interesting wall art. 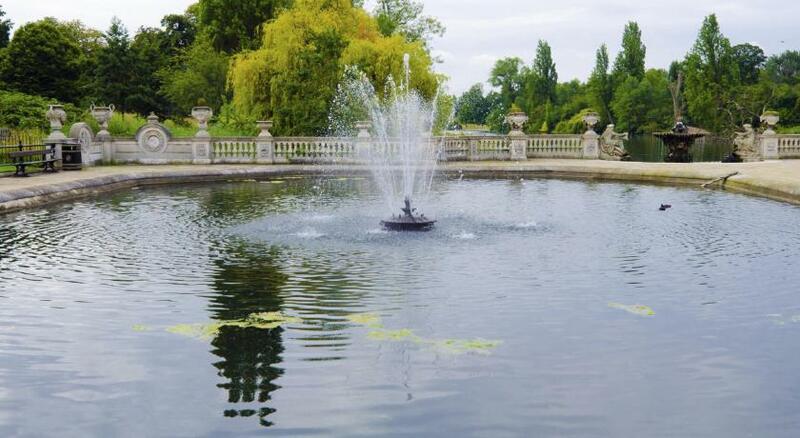 In elegant Paddington, the hotel is a 10-minute walk from Hyde Park. 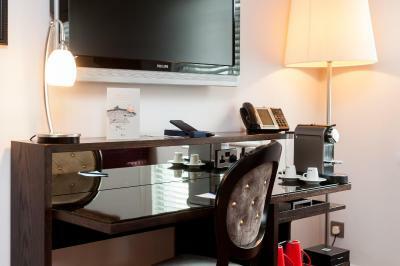 All rooms have an interactive TV, free Wi-Fi and an iPod dock. 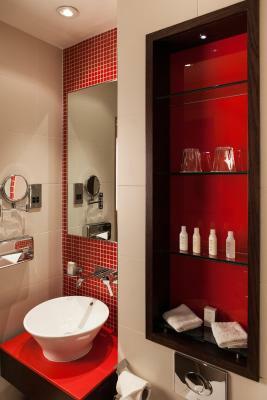 Rooms also have a luxurious bathroom with a rain shower, and all are individually decorated with vibrant colours and hardwood floors. London Street Brasserie serves a creative British menu, featuring quality local produce and exclusive wines. Guests can enjoy traditional tea and cake on the terrace, or in the colourful cafe dining room. 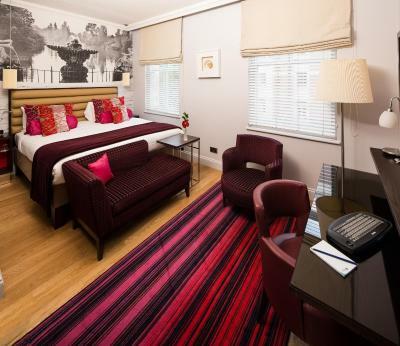 Just 200 yards from Paddington Station, Hotel Indigo London is a 15-minute walk from lively Oxford Street. 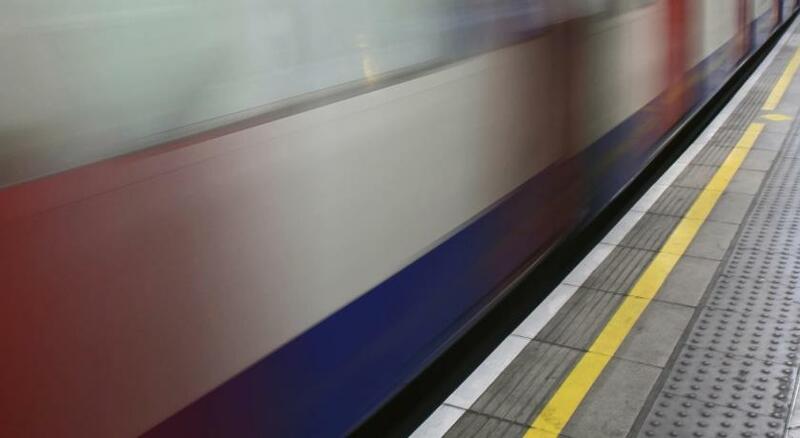 Glamorous Knightsbridge is just a mile away, and Notting Hill is a 20-minute walk. 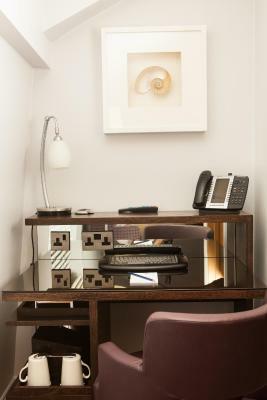 Hotel Indigo features designer interiors throughout, including contemporary art, painted ceilings and stylish furniture. The hotel also has a 24-hour modern fitness centre with flat-screen TVs. Hotel Indigo London-Paddington has been welcoming Booking.com guests since 30 Jul 2008. 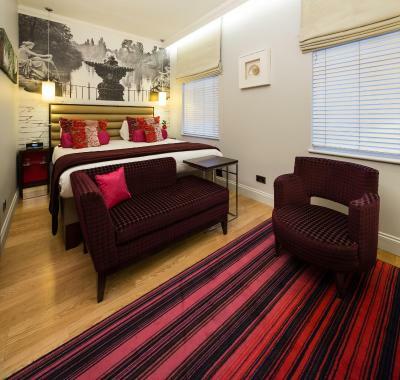 When would you like to stay at Hotel Indigo London-Paddington? This room includes a flat-screen TV with satellite channels and on-demand films, an iPod dock and complimentary soft drinks in the mini bar. It also features a private bathroom with bathrobe and slippers, and tea/coffee making facilities. This air-conditioned room features an en suite bathroom and a flat-screen TV with satellite channels. It also includes a mini-bar, an iPod dock and a safe. Decorated with warm wood and unique murals, this room has a flat-screen TV with satellite channels, an iPod docking station. It also comes complete with an en suite bathroom with a spa style shower. 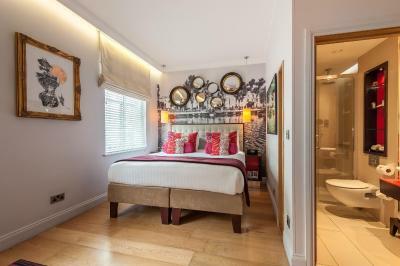 With a contemporary design, this room includes a flat-screen TV with satellite channels, an iPod dock, a minibar, air-conditioning, a hairdryer and an en suite bathroom. Please note that bed type and smoking preferences are subject to availability and cannot be guaranteed. Brightly designed, this room featuring a king-size bed also includes a flat-screen TV with satellite channels, an iPod dock, air-conditioning and a mini-bar. 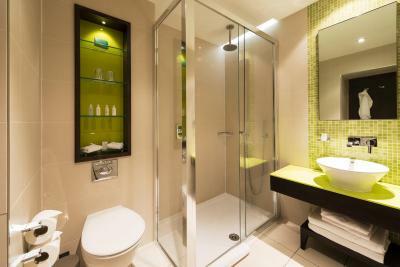 It also features a smartly decorated en suite bathroom, a hairdryer and a safe. This furnished bedroom and bathroom is fully accessible. Additional amenities include an interactive TV system featuring on-demand blockbuster movies and music, free WiFi, free soft drinks, Nespresso coffee machine and a selection of free magazines. 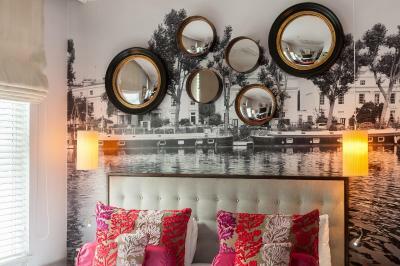 This twin room features unique murals which celebrate the hotel's eclectic local area. Guests can enjoy the room's interactive TV system featuring on-demand blockbuster movies and music, free WiFi, free soft drinks, Nespresso coffee machine and a selection of magazines. This double room has a iPod dock, bathrobe and air conditioning. These spacious king-sized rooms come complete with a custom-made chaise lounge, free WiFi, free soft drinks, a Nespresso coffee machine, magazines, interactive TV system featuring blockbuster movies and music. This queen-sized room is individually designed, with unique murals that celebrate the hotel's eclectic local area. Additional amenities include an interactive TV system featuring on-demand blockbuster movies and music, free WiFi, free soft drinks, Nespresso coffee machine and free magazines. This king room offers a fully accessible and furnished bedroom and bathroom. Additional amenities include an interactive TV system featuring on-demand blockbuster movies and music, free WiFi, free soft drinks, Nespresso coffee machine and a selection of free magazines. This twin room features a iPod dock, air conditioning and bathrobe. 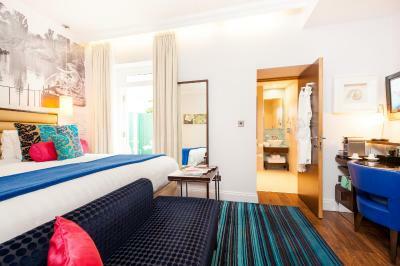 Escape the mundane with Hotel Indigo London-Paddington and immerse yourself in a refreshing and inviting guest experience that is truly reflective of the local neighbourhood. An urban oasis of luxury and tranquillity, the Hotel Indigo London-Paddington is so much more than a place to stay, it’s part of the neighbourhood. 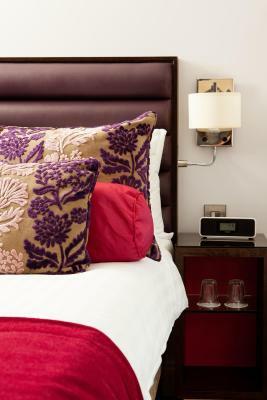 House rules Hotel Indigo London-Paddington takes special requests - add in the next step! Bankcard Hotel Indigo London-Paddington accepts these cards and reserves the right to temporarily hold an amount prior to arrival. Hotel Indigo London-Paddington accepts these cards and reserves the right to temporarily hold an amount prior to arrival. Please note that if an advance purchase reservation is booked, the card charged needs to be present on check-in at the hotel. If the card is not present at the hotel, another payment is required from another card and the original card will be refunded. The lights in the bathroom wouldn’t turn off and the switch needed attention. The shower doors didn't close well. It felt warm and stuffy on the top floor, but the heat unit didn’t ever seem to go low enough. We cracked open a window, which was tricky as they are older, but it did help. Comfortable bed. The location was excellent in terms of being close to Paddington Station. The aircon unit would sometimes get noisy for few seconds and then it would settle down. Also there was a period when there was loud noise from above my room of someone jumping around like mad for a couple of minutes. It only happened once during the evening so it didn't disrupt my stay there. Friendly and nice customer service. Clean modern and comfy room. Bed and pillows so comfy. Breakfast was good. Great coffee! 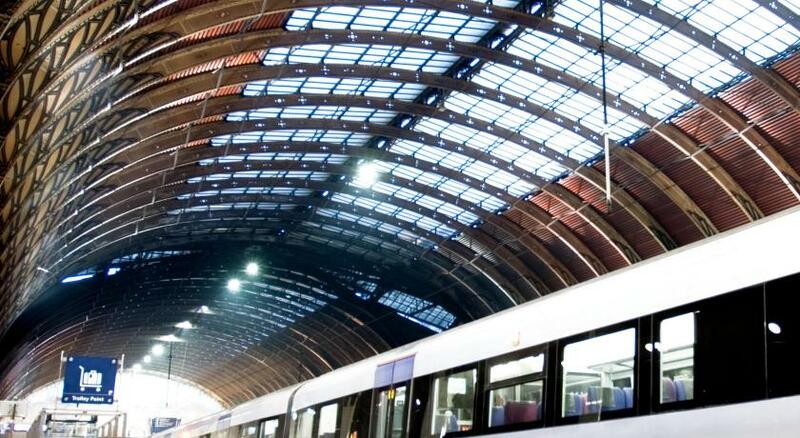 Such a great location close to Paddington train and tube stations. I would stay again but wouldn't have the same room located in the basement. Didn’t find vanity kit or shower cap in the bathroom. Location very good, pleasant and helpful staff. It was very well maintained and in an excellent location for getting around the city. The room was well done and very comfortable. There wasn't really anything I didn't like. They didn’t make my room. Bed is comfortable. Room is a bit small but acceptable as rooms London are usually small. The elevator is a bit old and slow.